Knock, or knock rummy, is a type of rummy where players try to assemble their cards in groups, trying for the fewest number of groups, or "melds," possible. It differs from other rummy games in that no one reveals their melds until one person dares everyone to reveal theirs together. The number of cards dealt to each player depends on the number playing. Ten cards are dealt to two players, seven to three or four players, and six cards to five players. The top card from the remaining deck is placed face up for the discard pile with the deck placed next to it. The aces count for one point and the face cards count 10. All other cards are worth their face value. Each player on his turn draws a card from the deck or discard pile and then discards one card from his hand. Players play their turns in a clockwise direction, with the next turn going to the player on the left. 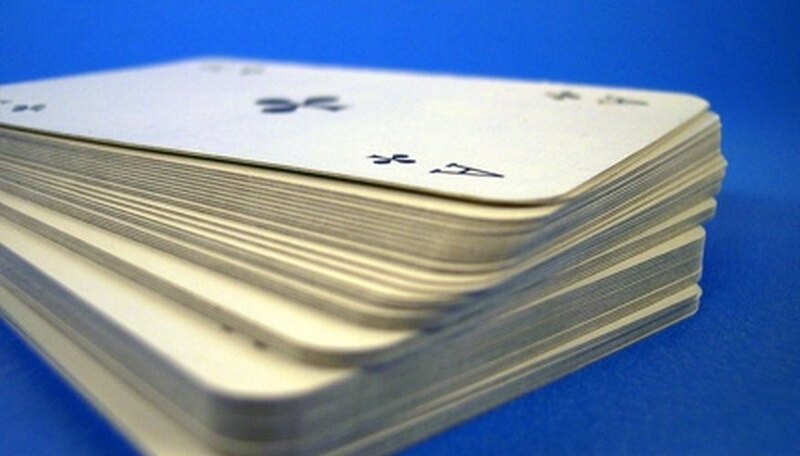 A player can "knock" at any time, lay down his hand and count the number of matching cards, or melds, in his hand. The other players must then lay down their cards and count their melds. The player with the fewest melds gets points equal to the difference of his opponents' number, plus 25 points if he discards the whole hand. Ties never go to the knocker, and if the knocker isn't the winner, he loses 10 points plus the difference between his hand and the winner.